Open top streamliner 245 entered service in 1934. It was totally enclosed during the 1941 season. In the September 1956, 245 received single indicator destination blinds. 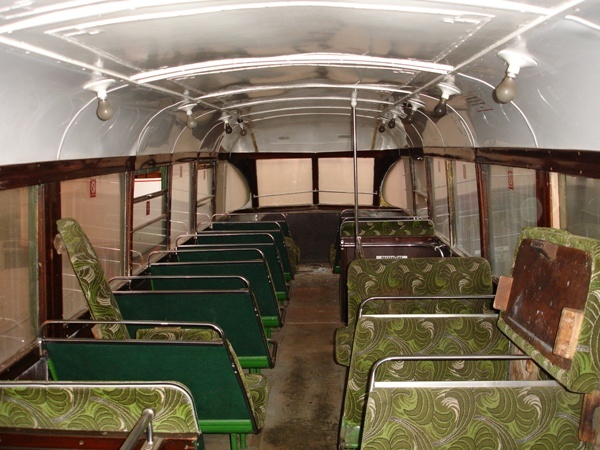 During August of 1957 and 1958, 245 was decorated as the Daily Mirror Tram. Renumbered 708 in 1968, it has managed to avoid advert liveries, instead carrying a succession of fleet liveries. 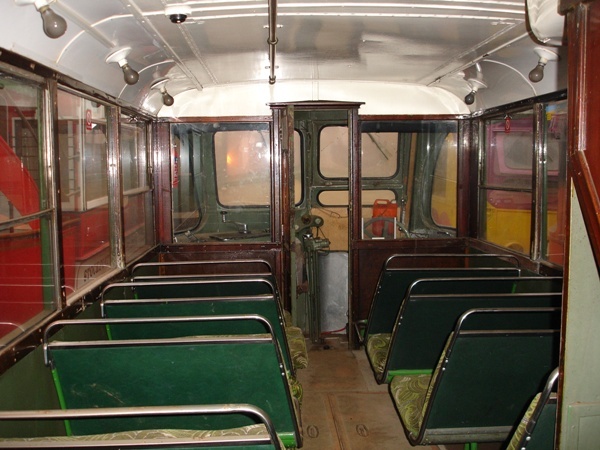 In 1989 it was fitted with ex-Routemaster fixed seating upstairs. The lower deck was similarly treated in 1990. 708’s trolley was replaced with a pantograph in 1991. 708 has often been fitted with the snowplough over winter months. Pictured above in September 2004, in its last year of operation, 708 has since been stored. On 12th March 2006, 708 was used to clear snow on the tramway. 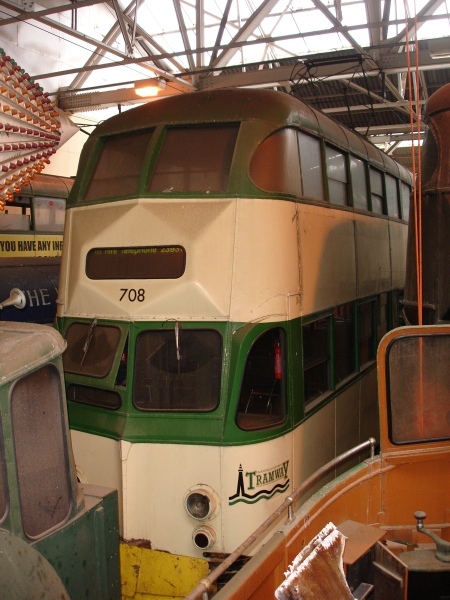 708 was initially purchased for preservation by the Lancastrian Transport Trust, but ownership has transferred to the MTMS in a deal which saw 704 transfer to the LTT in return. Viewed in early 2010, 708 appears largely complete. The lower saloon with fixed seating. 708 left Blackpool on 28th November 2011 was in store until 19th July 2013 when it was transferred for storage at Nelsam in Sunderland. A new depot is being built there and 708 will in due course go under cover. Whilst at Nelsam, 708 will be converted to open top condition. All photographs taken inside Rigby Rd Dept were taken under supervision and with full permission of Blackpool Transport Services Ltd.